In an effort to encourage a more thoroughly representative slate of candidates, the Nominations Committee asks that members submit nominees for positions on the 2018 TFG Board of Directors “by petition.” This is a provision of our bylaws intended to benefit members. The Nominations Committee asks that the names of potential nominees be submitted to govcom@tfguild.orgon or before September 10, 2017, along with the names of ten (10) members in good standing who endorse the nominee. Petitions may also be submitted by US mail to the Guild office in Bellingham, Washington, but must be postmarked by September 10, 2017. 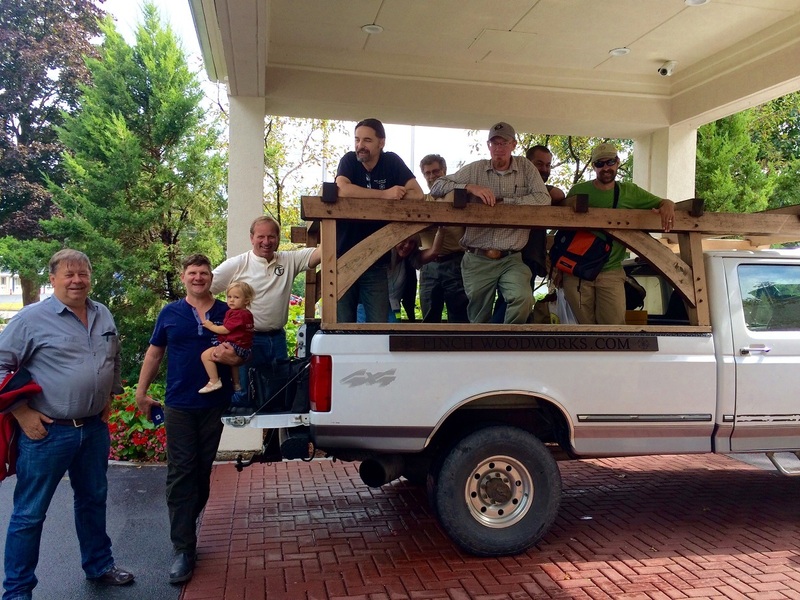 All nominees and their endorsers must be Timber Framers Guild members in good standing. Assuming that petitioned nominees are willing to run for the board of directors, their names will automatically be included on the slate. The Nominations Committee will submit its own slate of names to the Timber Framers Guild Board of Directors for approval; this slate may or may not include names of those who have been submitted by petition. The Nominations Committee intends to submit a slate to the board of at least two more candidates than there are seats open on the board. All names submitted by petition will be included in the final slate without distinction from those names submitted by the Nominations Committee. There are four (4) open seats for the term beginning January 1, 2018, and ending December 31, 2020. Please review the election-related materials and board member descriptions provided here. As a side note to the board member description, a recent poll of current board members estimates that the average time spent per month on board-related activities is between 15 and 20 hours per board member. This does not include additional time involved with committee work as this varies significantly among the board members. Section 1. General Powers. The affairs of the Guild will be managed by or under the direction of its Board of Directors (individually “Directors” and collectively, the “Board”) and such staff as the Board may employ. Number. The number of Directors will be twelve (12). Directors will serve for the term provided in Section 3 of this Article. Qualifications. The Directors specified in Section 2 shall at all times be adult members of the Guild, demonstrating a belief in and commitment to the Guild’s mission and purposes. Further, each Director shall be a person of experience and good reputation in the community who will actively support the goals and objectives of the Guild and who is willing to contribute his or her time and effort to achieve such goals and objectives. Directors shall have other such qualifications as the Board may prescribe by resolution or amendment to these Bylaws. Section 3. Election and Term. Method of Election. Directors of this Guild shall be elected by the voting members at a meeting of the members from the slate of candidates presented at meeting of the members. The Clerk will accept nominations in writing up to thirty (30) days prior to the meeting. Any candidate nominated by at least ten (10) voting members shall be included on the slate of candidates up for election at the meeting. Terms of Office. Directors shall be classified with respect to the time for which they shall hold office by dividing them into three (3) classes, each class to consist of as nearly as possible, an equal number of Directors. The Directors of the first class shall hold office for an initial term of one (1) year, the Directors of the second class for an initial term of two (2) years, and the Directors of the third class for an initial term of three (3) years. At the close of each meeting where directors are elected, the successors to the class of Directors whose terms expire that year shall commence to hold office for a term of three (3) years, or until their successors have been elected and qualified. In the event of an increase in the number of Directors, the remaining Directors shall assign the newly created directorship(s) to the appropriate class or classes so that all three (3) classes shall continue to consist of, as nearly as possible, an equal number of Directors. Accountability. The officers of the board of directors include the president, vice president, past president, clerk, and treasurer. Each of the officers of the board shall be accountable to the board of directors and to the members of the Timber Framers Guild at large. The board and its officers may delegate one or more duties listed below to the executive director, Guild staff, or board members as appropriate, but accountability for those duties remains with the director(s) or the officer(s) responsible for the duty. Fundamental to the position descriptions contained in this document is the philosophy that members of the board of directors are responsible for developing and maintaining the vision, values, and mission and setting the strategic direction of the Guild. In that regard, they serve an oversight role to the Guild’s professional staff. As defined elsewhere, the executive director has responsibility for management of the staff and execution of board directives. Additional duties and responsibilities of the vice president shall be as assigned by the president. Additional duties and responsibilities of the past president shall be as assigned by the president. Serve as the chair of the governance committee. Although it seems early in the year to begin considering nominating candidates for the board of directors, the process of nominating and electing new members is a lengthy one and it is time to begin again. With the passage of our new bylaws earlier this year, the Governance Committee spent some time reviewing the nominations process and policy. Although we made no substantive changes to the policy, we did refine the process and timeline for nominations. In the past, the Nominations Committee (now part of the Governance Committee) had reached out to members for suggestions of potential board members to be added to the slate. The committee reviewed these suggestions and forwarded recommendations for a slate to the board for approval. The consequence of this procedure is that not all of the suggested names would necessarily appear on the proposed slate. By the time the board-approved slate was announced to the voting membership, the process of members submitting additional names by petition became cumbersome in relation to the necessary timeline of the elections process. Should the president of the board hold that office during the last year of his or her term as a director, he or she shall be accorded a one-year extension to his or her term as a director to permit service as past president. In effect, the past president serves as a thirteenth member of the board.